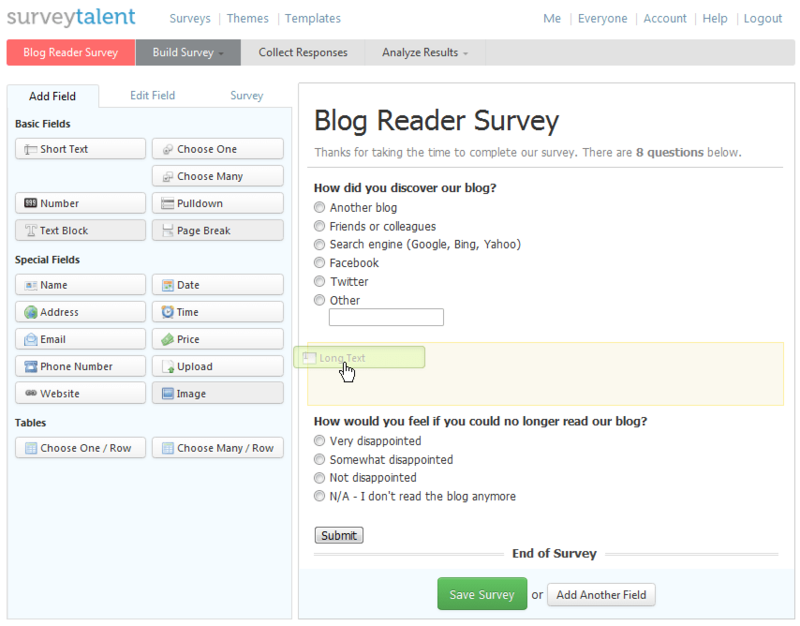 Simply drag and drop the questions you want to ask into your form or survey. With more than 20 question types, including multiple choice, file uploads, likert scales and text fields, it's easy to build your survey from scratch. And if you need a little inspiration, you can always take a look at our free form & survey templates.